Applications for Service in Fields. PATROL-ASSIST - "EAGLE-IRIS ON ROADS"
simplifies workloads significantly for Authorities on roads and increases the quality and safety of his Duty. 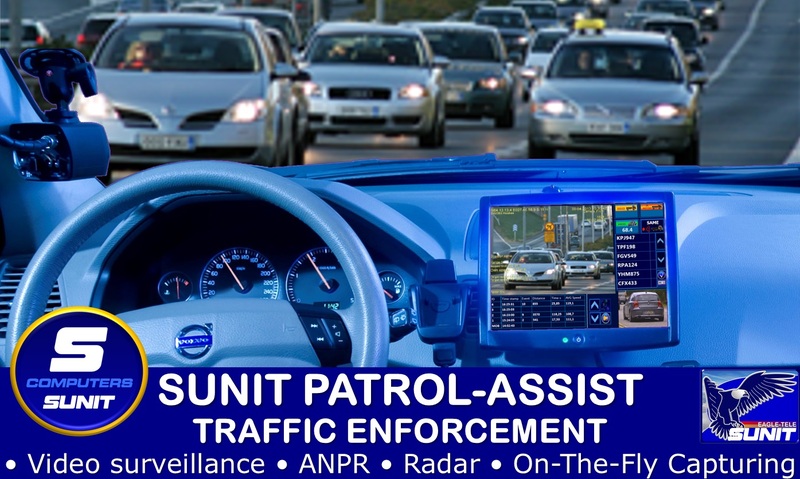 Sunit Patrol-Assist Application have space up-to 3 Database for Plate-recognitions. Usually Database’s are downloads from Traffic-Author, Police-Arrest and National-Safety. Gravity of captured vehicle is signalled by Color-codes making Easy-to-note by Authority. On the HIT Patrol-Assist creates a Photo with Location-data for later Analysis. 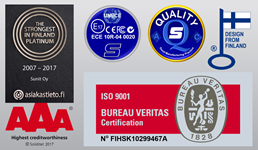 By Touch on Plate-number or Photo the Author easily transfers onto National Patrol-Applications. 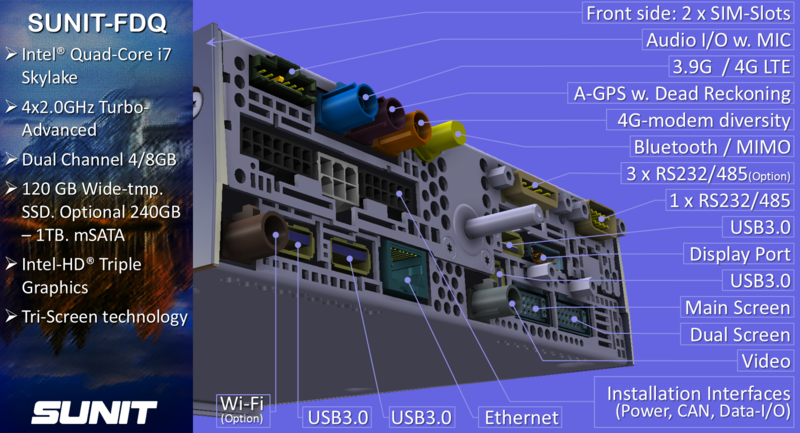 Patrol-Assist have interfaces for swap by One-touch function to Authority-applications. The Interface is reached thru Plate-number or Photo. User-friendly and visible Shapes makes Easy-accessed Play-back and Extract functionalities on roadside duties. Operations of Video for Copies & Clips are ease to create by touch on Video. Traffic Video Surveillance. 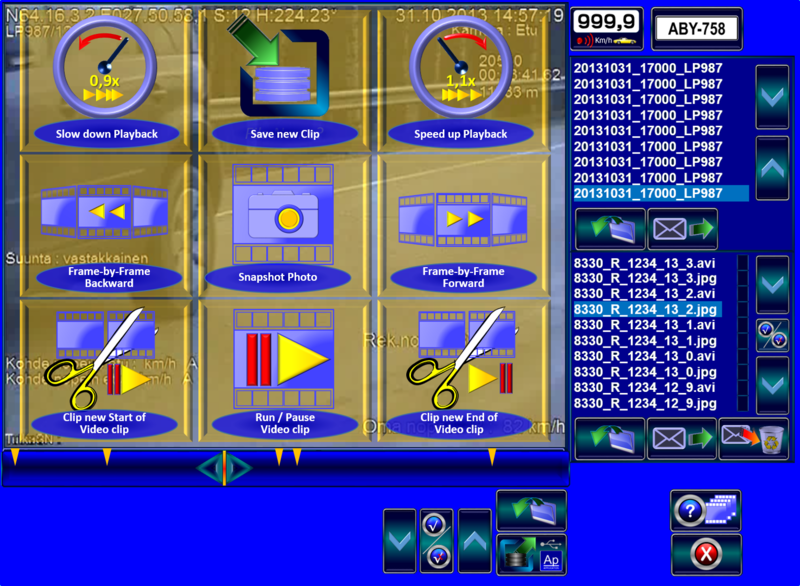 Application records continuously video as 30 minutes clips. ANPR. Frame for Capturing is possible to read either from Video-flow or IR-Camera. Radar-Connection. Speed by Radar is labelled onto Video. There is 2 directionals, usually Front and Rear -equipments. 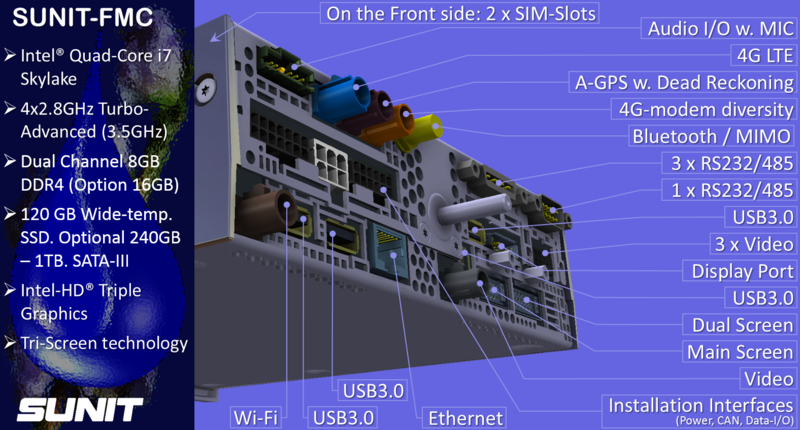 Swaps of Front-Rear is by One-Touch and all connected devices swap sides. Gravity of captured vehicle is signalled by Color-codes making Easy-to-note by Author in Duty. 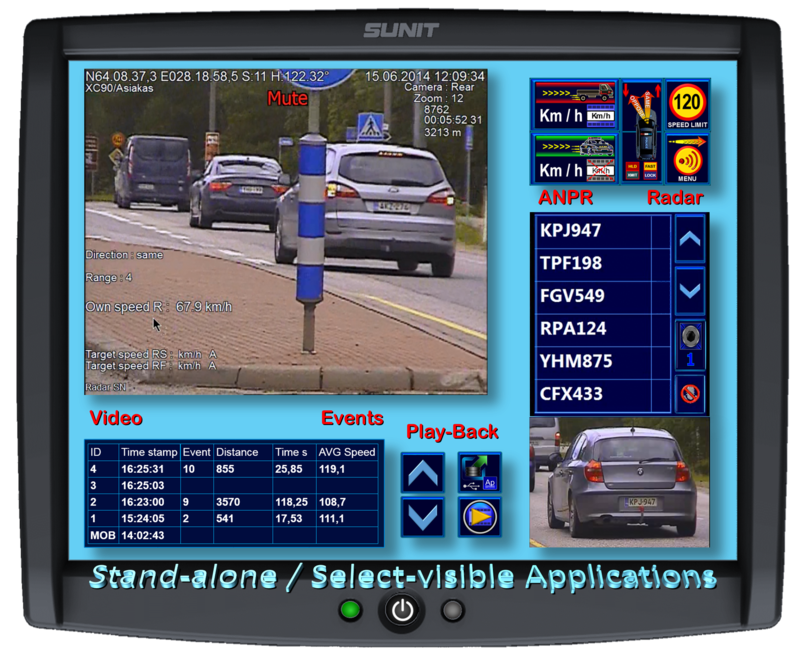 Sunit Patrol-Assist Application creates on the video Purpose-kind EVENT-notes which are marked on video as “waypoints” for quick-searches. As well Authority can create EVENTS manually by Keypad. In addition Application creates notes due to different events by captured car, e.g. Search-marked car. Patrol-Assist Application is designed so that manual operations are almost eliminated. User-friendly Layout with visible Shapes has created Easy-access Solution on tough duty. Our feedback from users affirms that Authority rather insist Sunit Patrol-Assist on cars due to Applications high Assist-class. Sunit-FOX LED-IR Camera is Frame-Synchronized Low-power unit. On ANPR-imaging the Hit-rate is extremely High and Rapid.